Adding to our sublime collection of weekly bonuses and unmatched 8 tier VIP rewards program available in our promotions section, we are treating you to yet another chance to get yourself into the money. 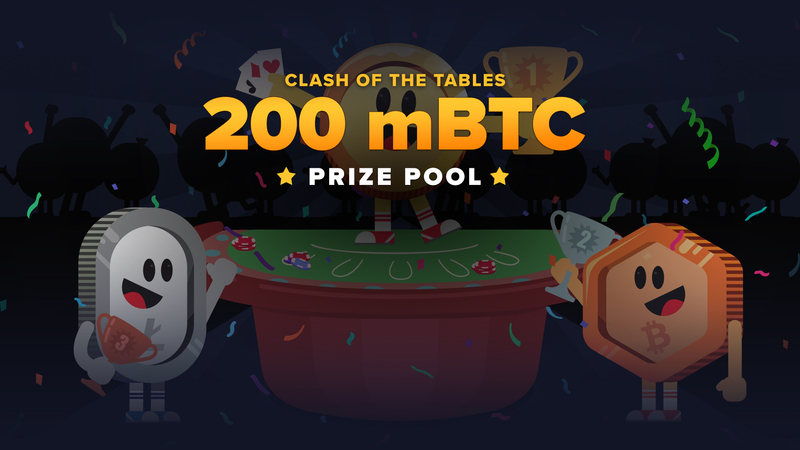 Check out our weekly tournament races starting every Wednesday at 00:00 AM UTC created firstly to say thank you for being a member of mBit Casino as well as to provide you, our loyal members, with even more excitement and anticipation to add to your casino experience. As a mBit Casino member you will have the chance to turn all your weekly real money bets into tournament points simply by entering absolutely free. Once registered, every time you make a real money wager on any one of our casino games you will climb our tournament leaderboards in a bid to earn your share of one of the colossal prize pools packed with bonus currency and free spins. 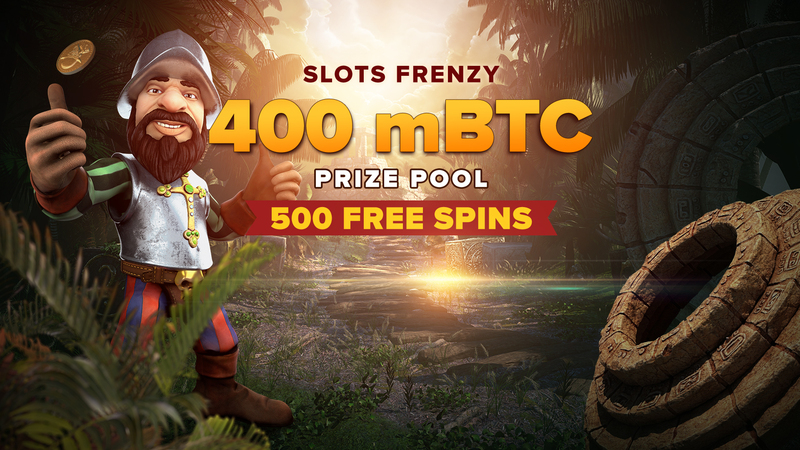 Our tournaments are split into two sections to give both slots players and table gamers the chance to turn their weekly gameplay into tournament points for stab at more free spins and mBTC. Play on any one of our table games including roulette, baccarat, blackjack, or poker and every bet you make will contribute to your Cash of the Tables Tournament points tally. Slot players can play any one of our top slot titles from Playtech, BetSoft, GameArt, and loads more reputable software designers to earn points to beat the bubble and get into a cash spot for a cut of the prize pool, which includes free spins and bonus currency awards. All you need to do is keep an eye on this mBit tournament page where you will be able to see when the next tournament begins. Simply click on the ‘Join Tournament’ option to get involved. Tournaments begin every Wednesday at 00:00 AM UTC and end every Tuesday at 11:59 PM UTC. Both Cash of The Tables and Slots Frenzy leader boards are updated in real time and can be accessed 24/7 here in our tournaments page regardless of whether you are logged into the casino or not. You can also check the previous weeks’ winners, prize pool totals, and which spots were paid out as well as how much. so, you can set yourself a milestone for the new week and make sure that you are in the running for one of the cash spots displayed on the leaderboard. Make sure you register for the tournaments as early as possible to give yourself the best possible chance of making into one of tournament prize pool spots. If you register mid-week, then you may have a mountain climb because the early birds will already be on the leaderboard. If you do register a day or two after a tournament begins, then check the leaderboard to see if you have a chance of catching up with the leaders. Make sure you get online as often as possible and place real money bets on the games that apply to the tournament that you have registered with. Tournament points are awarded according to the amount you wager, but no points will be awarded if you are playing slots when you are registered for the table game tournament. Keep checking your account so you can see your tournament points and keep an eye on your position on the leaderboard near the end of the tournament because a few last bets could see you rise several places above the contenders helping you bump up your prize reward for making one of the cash spots. To gain a full understanding of how the tournament works, when you will be paid your prize money, and other rules involved with mBit tournaments check out our terms & conditions.